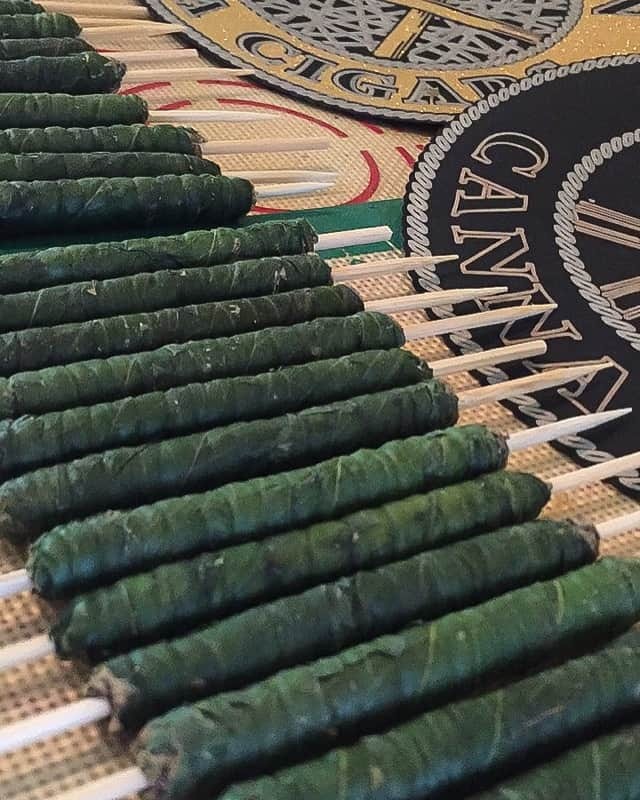 Artisan Canna Cigars was created by my partner Nathan and myself, only after acknowledging how much we could accomplish by working together within this amazing way of life. It developed into something much greater than we could’ve anticipated or imagined. A year and over 50 collaborations later, we’ve developed a franchising company. I’ve gotten to meet incredibly talented and wonderful friends along the way, much like the remarkable @h1tmanlou. His skill trait is something of wonders, and we will always be building our craft and positivity to its fullest potential. 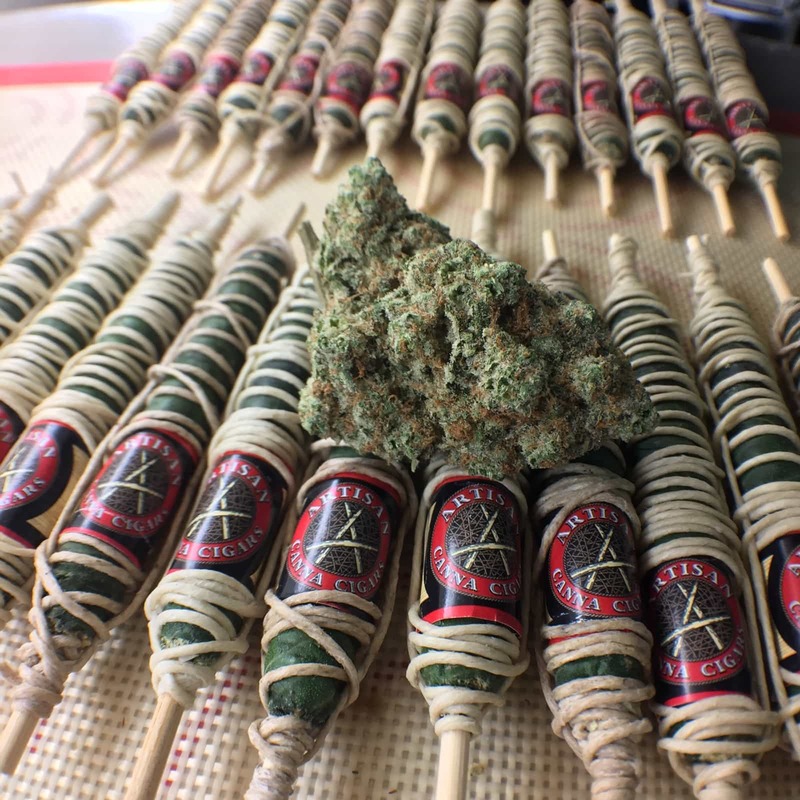 The strain “Thai Stick,” grown by the hill tribes in northeast Thailand, was some of the highest quality marijuana found in the ’70s. The hill tribes of Thailand generally used silk line to hold “Thai buds” together around either bamboo sticks or hemp stalks. I’ve heard many incredible stories from various veterans, my father included, who engulfed himself within this rich untold history. I would hear stories of such sensational highs about these opium dipped thai sticks. In the book Thai Stick: Surfers, Scammers, and the Untold Story of the Marijuana Trade, Peter Maguire and Mike Ritter explain how surfers who were declared “Draft Dodgers,” were moving shipments of Thai sticks from farms in northeast Thailand to the states. These guys ended up creating one of the most complex smuggling channels in history, not to mention opening the states up to one trippy ride! To me, it seemed impossible for this particular craft to have completely fallen out, even with the taboo that comes along with it. I then discovered a character known as Afgoo_head, who had been lingering on the social media site Instagram for a while creating in-depth posts regarding basic work with this medicine, along with the day-to-day fun that comes along with cannabis exploration. Using the basic method of applying cannabis to a stick, he was able to transition this old school trade to the clean and all natural pure cannabis cigars you can find today. The moment he posted a description and image of his first attempt, I was hooked! I engulfed myself within this way of life and spent hours discussing techniques with Afgoo_head. For several weeks and months, we had conversations that opened new doors, within vastly different realms I had not been mentally exposed to yet. From the detailed personal descriptions he graced me with, to my first few failed attempts at forming it, I was able to truly educate and mold my own style in this new craft. As he proceeded on with creating specialty designs and multiple stick crafts, I took in every detail and began to understand my own capabilities. Through constant effort and intense amounts of time, I began to notice a flow or rhythm to my own art form. The most important thing I learned was to not put a cap on my abilities. 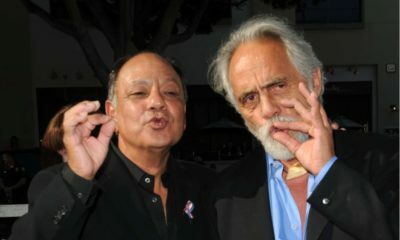 Only he and I, at that point, had formed cannabis cigars using this technique and as to how far this might extend around us, I was personally not prepared for. Each craft is vacuum-sealed after each leaf layer is applied, which allows the craft to solidify at a quicker rate. This layering process is repeated three times within a two and half week period. By giving each stick time to compress and solidify even further, you allow each craft to enter itself through an infusing process. 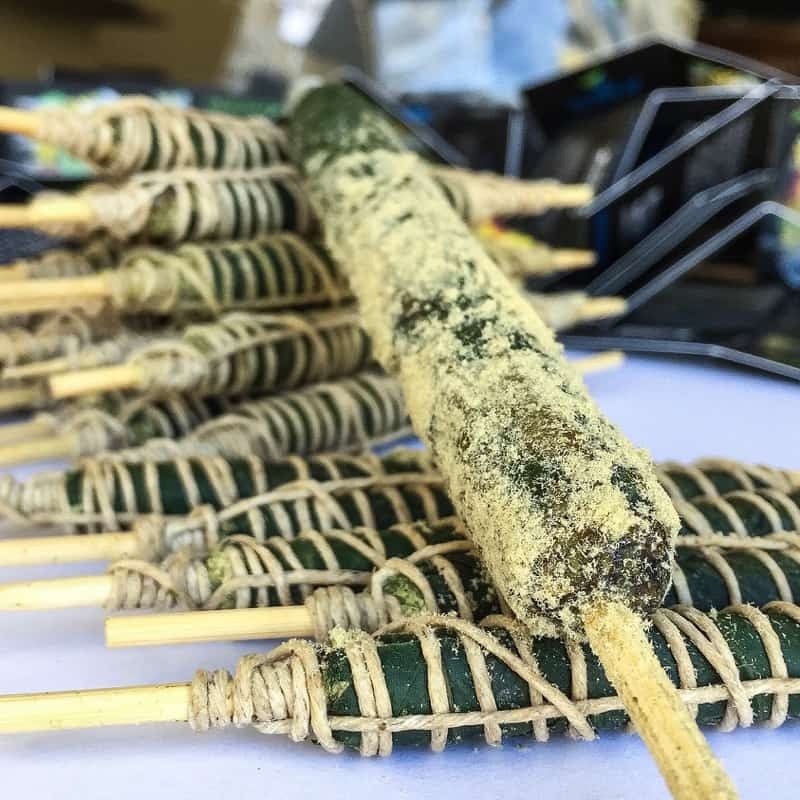 At this point, the oils and concentrates begin to seep within the hardened stone-like cannabis cigar, which allows each person to feel an almost indescribable high. The effects that these formations have on the body and mind are a powerful thing; in just a few hits, you’ve open yourself up to even more healing capabilities—and in a completely natural way. We all hurt and heal for different reasons, but pain still remains with us all. For any person who is remotely interested in cannabis and its many uses, be sure to follow up soon for more in-depth blogs and summaries. Special thanks to out friend @Afgoo_Head for the inspiration! Your work lives on! A lot would have not been possible without you! And don’t forget to follow @artisancannacigars on Instagram for more of their incredible work!